Erik Fankhouser, nicknamed “The House” (derived from the name Fankhouser) is an American professional bodybuilder-heavyweight. Erik was born on May 30, 1980 in the USA. While studying at the West Liberty State College in West Virginia, the guy played American football, competed in track and field athletics in the shot put, throwing a spear and a hammer. In all of these sports disciplines, training in the gym was an integral part of the training. After graduating from college, Erik, used to training for competition, thought about choosing the sport that he would like to do professionally, and chose bodybuilding. The first performance of Erik Fankhouser took place in 2004. It was a local tournament “Upper Ohio Valley” (NPC), where Erik won the junior championship. In 2005, he won the tournament “Mid Atlantic Grand Prix-West Virginia States”. At the 2006 North American Championships, Fankhouser finished 4th in the heavyweight division. In 2007, he competed at the national level, the “US Championship”, but did not qualify. However, at the “North American Championship” of the same year, Erik was able to become a winner in the heavyweight category and in the absolute classification. This victory brought Fankhauser a professional IFBB card. The debut of Erik Funkhauser as a professional took place in 2008 at the “Europe Supershow” tournament. The eleventh place in this tournament did not please Erik, and he took a timeout for several years for serious preparation. In 2010, Erik Fankhouser reappeared on the lists of participants in professional tournaments. This year he took part in three shows. The best result of this year was the 5th place in the tournament “New York Pro” and the possibility of qualifying for “Olympia”. At the tournament “Mr. Olympia” in 2010, Fankhouser failed to get into the number of winners. While this is his first and only participation in this tournament. After an unsuccessful debut at Olympia, Erik Fankhouser took another few years to improve his form. 2011 he missed, appearing on the stage of two tournaments in 2012 – “Chicago Pro” and “Grand Prix of England”, in both tournaments he finished seventh. This was the last appearance of Fankhouser on the professional stage, although he did not officially terminate his career. The strongest muscle group of Erik are his calf muscles, which by nature have very low fastenings. Thanks to this genetic advantage, Fankhouser has managed to develop them to a truly gigantic size, which makes many suspect him of using Synthol. Trains Erik Fankhauser 5 times a week, the duration of his training is not more than an hour. Erik believes one of the main reasons for the lack of progress in many – too long stay in the gym and too much work. In exercises for large muscle groups, he performs a total of 15-18 approaches, for small – 9-12. 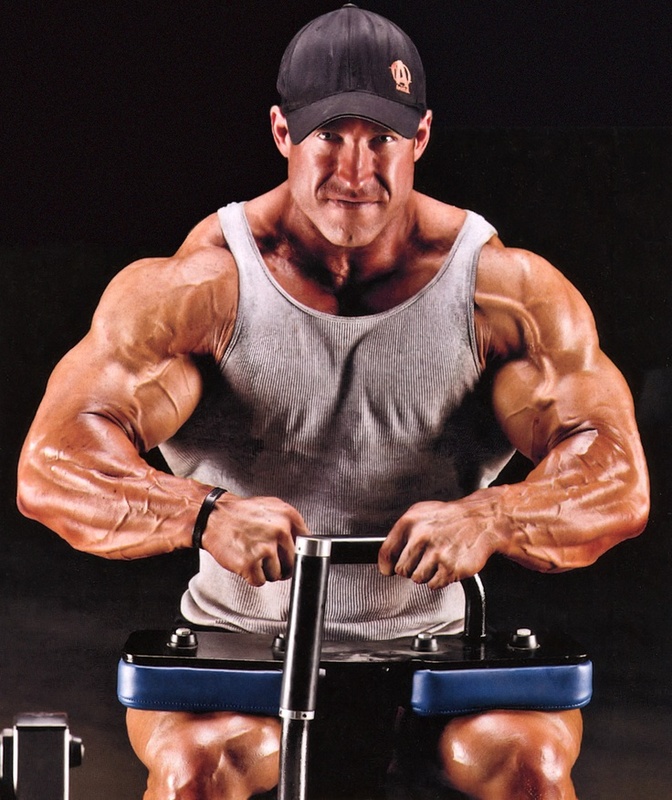 “I’ve seen many bodybuilders who perform from 20 approaches or higher, they train 2 hours a day 7 days a week, and then they are surprised at the lack of progress,” says Fankhouser. Once he noticed that after a week’s rest he felt much stronger. Since then, Erik after every three months of hard training suits himself a week-long rest. Fankhauser considers it necessary to conduct cardio training not only in preparation for the competition, but also regularly throughout the year. He conducts daily 30-minute cardiosciences of low and medium intensity. Sometimes it’s walking in a stepper, sometimes an exercise bike or walking on the street. Currently, Erik Fankhouser is a personal trainer and also works as a physical therapy instructor at Wheeling Hospital, South Virginia. He has contracts with two companies-manufacturers of sports nutrition – “Animalpak” and “Universal Nutrition”. In 2013, his photo decorated the cover of the magazine “Flex”. Fankhauser also writes articles for the magazine “Muscular Development”. He has a strong family: Heather – wife and two sons – Javier and London. In the future, Erik plans to open his own gym.